We are now accepting advertising for our Area 9 eNewsletter. If we need to prepare artwork, we will quote additional fee based upon the work required. When an ad request is received, an electronic invoice (PDF) will be sent. Newsletters will typically be sent out once a month. If more than one is sent in a month, there will not be any additional charges. 10th of the month for emailing in 4th week of month. 5 days prior to end of month for emailing in the 2nd week of the month. Greetings from Lake Jackson TX in the coastal Texas region of Area 9! I am privileged to serve a Chair of the Handbell Musicians of America Area 9 Board of Directors. 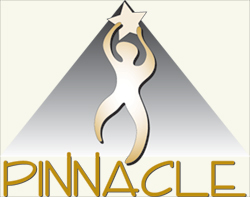 This organization is dear to my heart and I am part of a group of board members dedicated to serve YOUR handbells needs. The 2014-2016 Area 9 Board met in Dallas the end of October to continue the work of the previous board and to plan for new and exciting opportunities. The board members have one thing in common – a love of the art of handbell ringing. They come from all walks of life and each brings a unique gift to the board. Together we can do amazing things. It is our hope that in the coming weeks we will be able to announce several new additions to the calendar of events sponsored by Area 9. Be patient but be ready! It always takes a bit of time to pull the details together before they can be publicized! I hope you are curious and excited about the possibilities. Keep your eyes and ears open. Watch the website and the e-newsletter! Central Texas Spring Ring 2015! 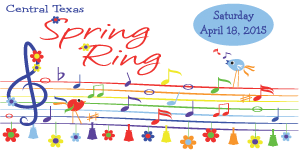 Who doesn’t love a day of ringing fun music?! This year’s Central Texas Spring Ring will be in Georgetown, TX (just north of Austin) with guest clinician Ruth Seiwell. The 2015 repertoire will feature a new Disney classic – “Let It Go” from ‘Frozen’ – along with “Crown Him with Many Crowns” and “For the Beauty of the Earth.” There is truly something for everyone! To see all of the details, learn more about our guest clinician, and get your registration form, visit http://area9.handbellmusicians.org/central-texas-spring-ring/. Yesterday afternoon during my conference period, the PAC erupted into the pounding of a drumline—not the most out-of-place sound. However, it got louder and louder; and then the choir room doors opened. In walked a camera crew, Superintendent Mackey, my principal, Wagner HS drumline, and Judson football players, and Judson cheerleaders. They were part of the Prize Parade going around the district awarding teachers with the Judson Education Foundation Innovative Teacher Grants for the year. They presented me with a $2,035 oversized check for the purchase of a 3-octave class set of handchimes for music theory and choir. I’m excited! The 2013-2014 financial report for Handbell Musicians of America Area 9 is now available online. Please visitarea9.handbellmusicians.org. Handbell Musicians of America Area 9 is an IRS recognized 501(c)(3) operated under the corporation laws of the State of Texas. If you have any questions about the Area’s financial data, please contact financial consultant Wilson Van Tine atchairelect.area9@handbellmusicians.org. The Area 9 board is here to serve you. Please contact any of the Area 9 board members for the 2014-2016 fiscal year with any ideas, suggestions, questions or concerns you may have.